Castillo de San Marcos in St Augustine, Florida is the oldest masonry fort in the US. It is built of coquina rock and cement which made it fire proof as well as strong. It took 23 years to build and was finished in 1692. 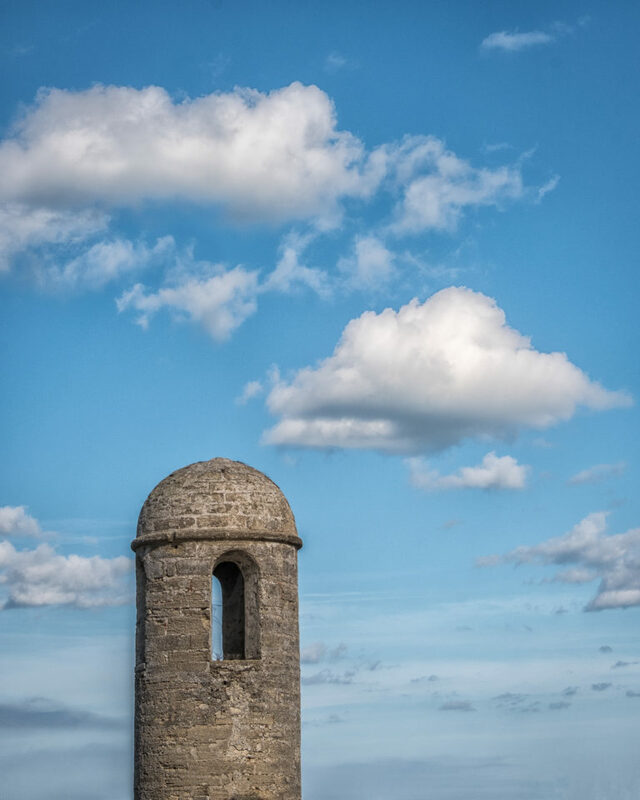 You can see the meticulous construction on the watchtower, framed in my photo by fluffy white clouds. It would fit one person standing up, but it would feel crowded with 2 people. The fort has educational displays on what it was like to live there in the 17th century. There is a bunk room with 2 long rows of sleeping pallets on either side of the room. The soldiers entertained themselves painting ships on the walls, but it was too dark and too many people to get an interesting photo. There were school groups going through and a demonstration of firing a cannon, which took at least 5 minutes to load and fire. It was definitely much harder to kill each other 300 years ago than it is now. 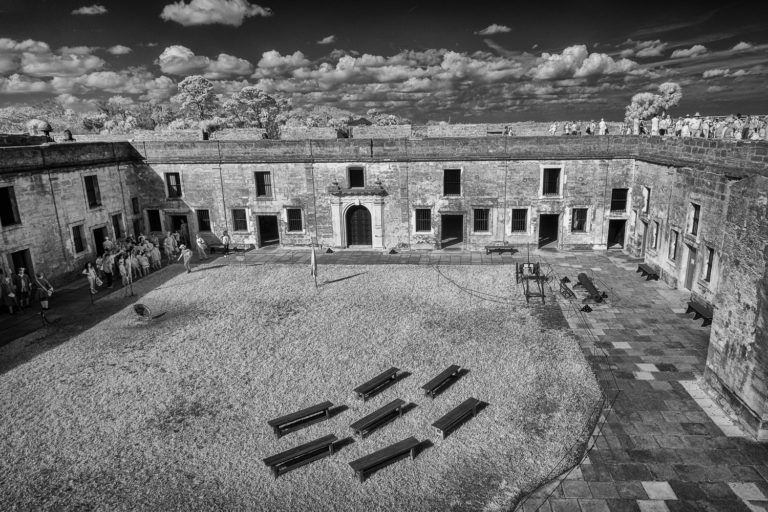 The photo below shows the inner courtyard including one of the many school groups, so that you can get an idea of the size of the fort. The last photo is a view from the fort to the river. 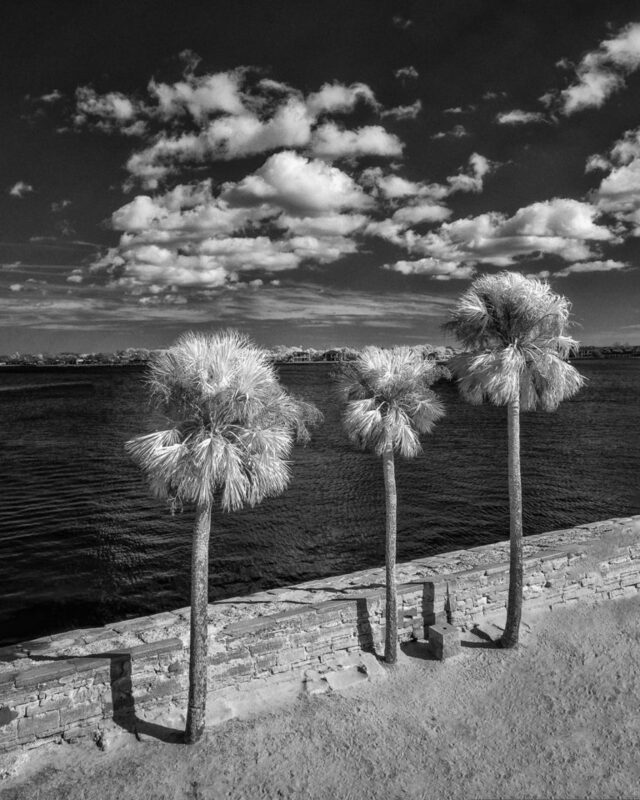 I was drawn by the conversation between the three palm trees and the distant clouds.